Paul Smith prefers his calculator to people. People are annoying and demanding, but numbers will never let you down. He works tirelessly for his dad’s mortgage firm, foreclosing when it makes financial sense, and not losing any sleep over it either. Paul’s dad has always been a demanding taskmaster. But when he has a major health scare, Paul’s dad see’s the error of his ways. He decides he wants to change to a more benevolent business model. After having decades of harsh business practices drilled into him, Paul is not a fan of his dad’s new idea. Cort Callahan lives and has worked on his granddad’s ranch most of his life. But times are hard and they’ve fallen behind on their mortgage. 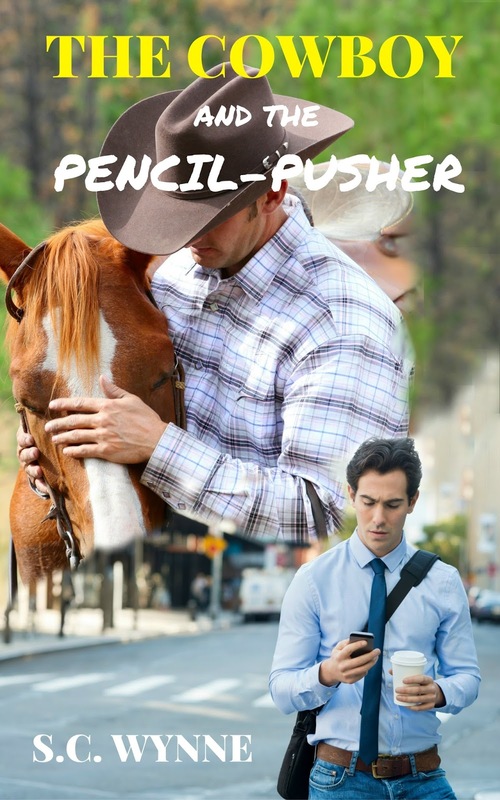 When Paul’s dad decides he wants to offer them a way out of debt, if they’ll just go along with his unorthodox idea of turning the spread into a dude ranch, it’s hard to tell who thinks it’s a worse idea: Paul or Cort. But when Cort and his granddad take the deal, Paul is forced to work closely with Cort. The two men are surprised to realize they share an intense attraction that only grows stronger the more they’re around each other. The problem is Paul has spent his life trusting numbers and calculations. No matter how much he wants Cort, when he looks at how different they are from each other, the two of them just don’t add up. “That doesn’t sound promising.” I had mixed feelings. I knew my dad would be happy if Marty said yes, and I liked it when he was happy because then he stopped harping at me. But if Marty agreed to the project I was stuck in this little town for at least three months. My dad had it in his head it was good for me to supervise these ventures of his because it got me away from my computer. “You probably mean something sappy like already he’s rich with friends and family?” I arched one brow. S.C. Wynne started writing m/m in 2013. She loves writing m/m and her characters are usually a little jaded, funny and ultimately redeemed through love. S.C loves red wine, margaritas and Seven and Seven's. Yes, apparently S.C. Wynne is incredibly thirsty. S.C. Wynne loves the rain and should really live in Seattle but instead has landed in sunny, sunny, unbelievably sunny California. Writing is the best profession she could have chosen because S.C. is a little bit of a control freak. To sit in her pajamas all day and pound the keys of her laptop controlling the every thought and emotion of the characters she invents is a dream come true.